After a nervous breakdown in 1929, Robert Walser spent the remaining twenty-seven years of his life in mental asylums, closed off from the rest of the world in almost complete anonymity. While at the Herisau sanitarium, instead of writing, Walser practiced another favorite activity: walking. Starting in 1936, Carl Seelig, Walser's friend and literary executor, visited and accompanied him on these walks, meticulously recording their conversations. As they strolled, Walser told stories, shared his daily experiences of the sanatorium, and expressed his opinions about books and art, writing and history. When Seelig asked why he no longer wrote, Walser famously replied: I m not here to write, I m here to be mad. 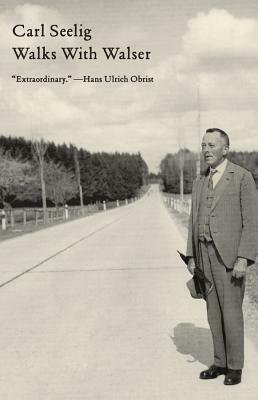 Filled with lively anecdotes and details, Walks with Walser offers the fullest available account of this wonderful writer's inner and outer life.